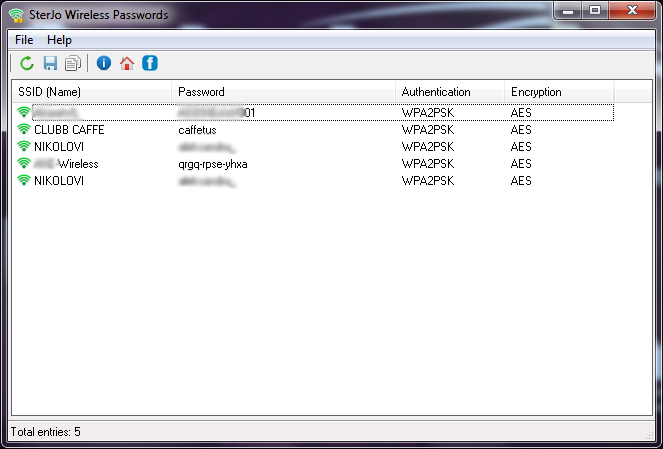 SterJo Wireless Password is FREE utility for recovering your lost wireless passwords of your network. As the number of devices using wireless network increases same as the need for more security, it often may happen your password containing letters, numbers and special characters to be forgotten in time. So instead of completely resetting everything and creating a new password there is a much simpler solution. 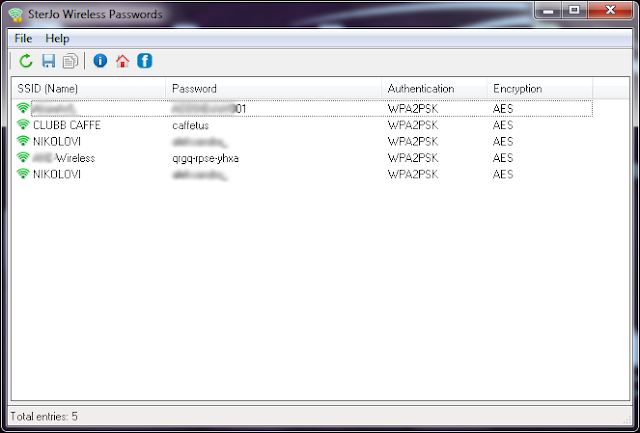 All you have to do is run SterJo Wireless Passwords and allow it to scan your wireless network. The software will display all saved passwords by Wireless Zero Configuration or WLAN AutoConfig service and can be used to connect your other wireless devices without a fear of forgetting them in the future.